Première Vision Paris, an international event for fashion designers, will take place from September 19 to September 21 at the Nord Villepinte exhibition center. An exhibition dedicated to leather, textile, design and accessories that welcomes designers and creatives from every part of the world. 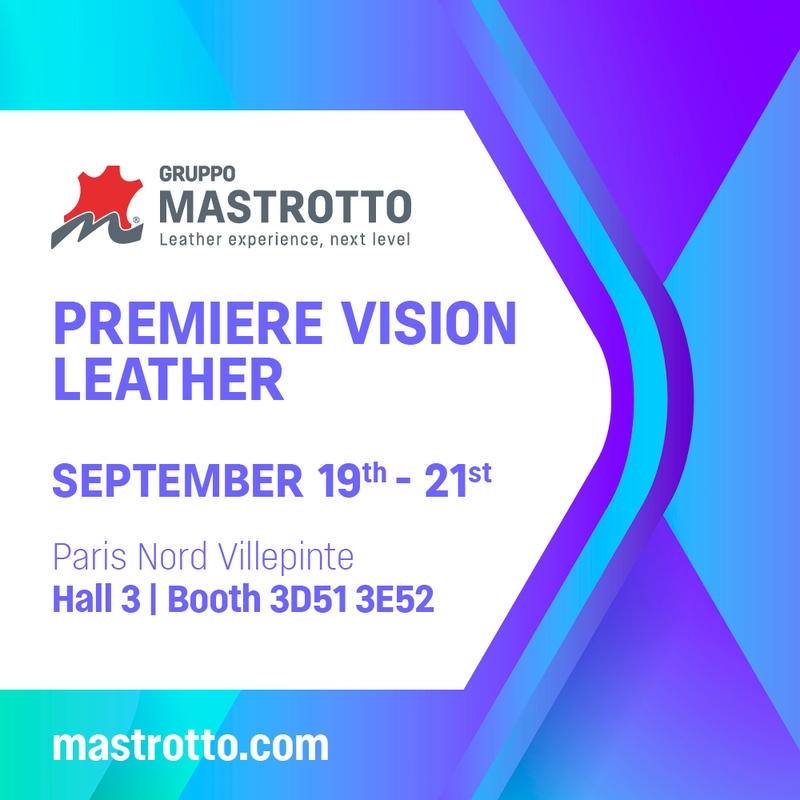 Gruppo Mastrotto will be present with the latest Fall/Winter 2019-2020 collections for leather goods and footwear: a wide range of mesmerizing leathers, intense tones, elegant and delicate, perfect for the next winter season. To satisfy every need, Gruppo Mastrotto offers the prompt delivery service Gruppo Mastrotto Express, with over 1100 colors and more than 25 collections always available in stock, with new colors of nappa and suede, to develop even more creative collections.